Today’s card is being featured on Stylin’ Stampin’ Inkspiration. 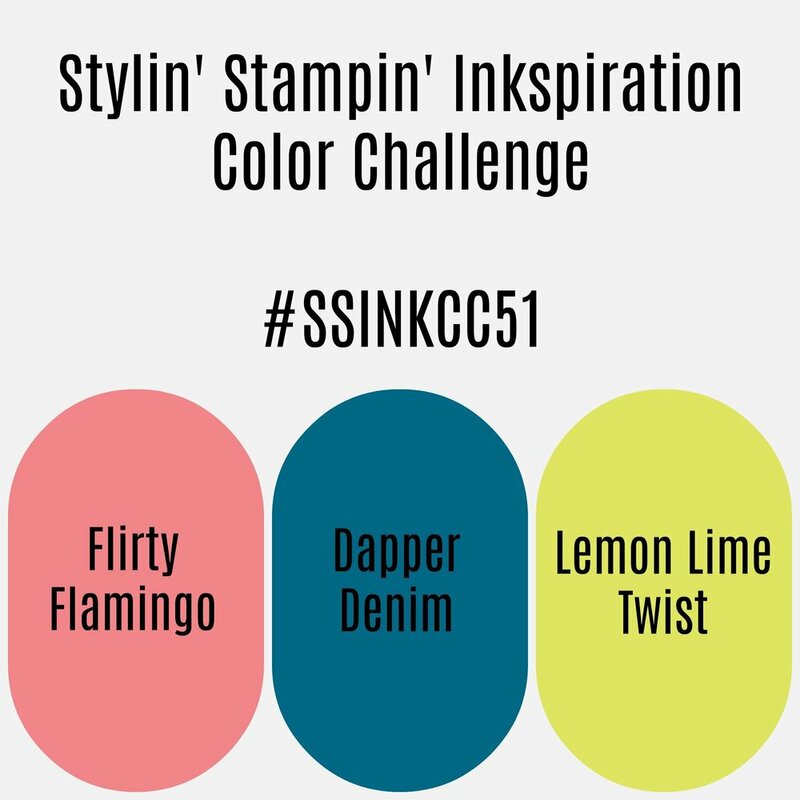 The challenge was to create a card using the colors Flirty Flamingo, Dapper Denim, and Lemon Lime Twist. I pulled out another great retiring stamp set and just started stamping. I love this simple One Layer card so much. To give the card a bit more depth, I stamped off before stamping the large flowers. Then I stamped the middles without stamping off. Same ink color. I love the tone on tone look. To add that finishing touch, I adhered some clear faceted gems into the flower middles. Simple and perfect. 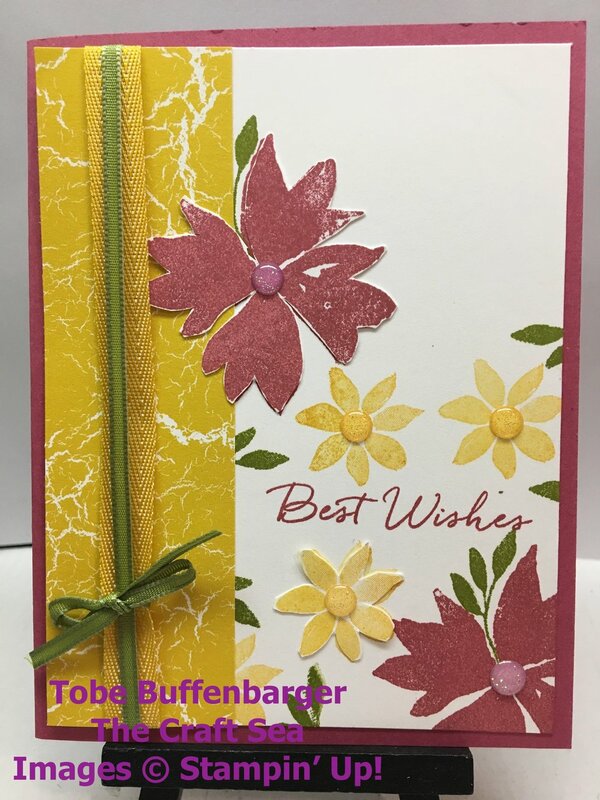 While I had it out, I stamped a variation card using the Blooms and Wishes stamp set. For this card, I added strip of Color Theory DSP and some ribbon. I also added a few cut out flowers to add more dimension. Plus I used my last piece of retiring Rose Red cardstock.